The Android Home button is one of the most common things in our favorite mobile OS and it could become even more useful if you make it launch your favorite app with a mere double-tap. Here’s how you can do just that. 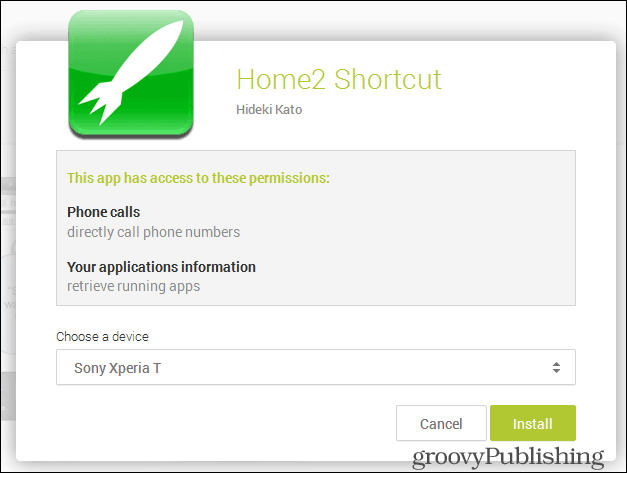 Kick off by installing the Home2 Shortcut app from the Google Play Store, here. After that, just start the app on your phone or tablet. You’ll see a pretty basic interface, but one that does get the job done. 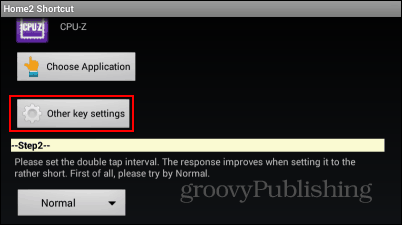 Tap Choose Application to set the app you want started with a double-tap of your home button. 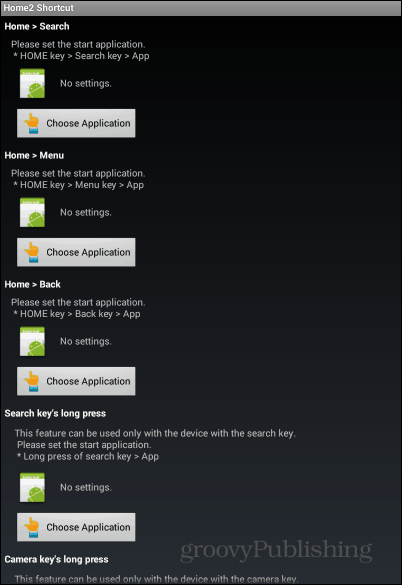 You’ll have, as seen below, some different options for choosing the type of app you want to select from. 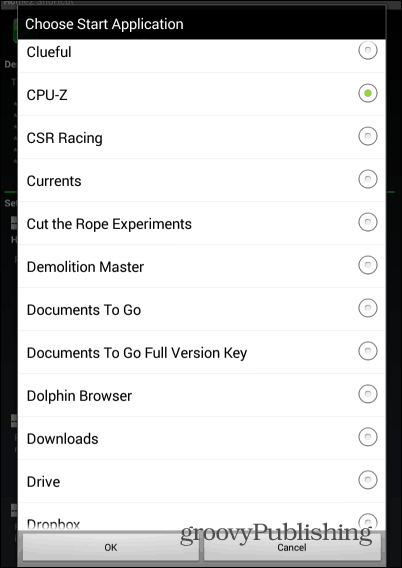 I’ve decided to go with an installed app – CPU-Z, which I’ve discussed in this recent article. 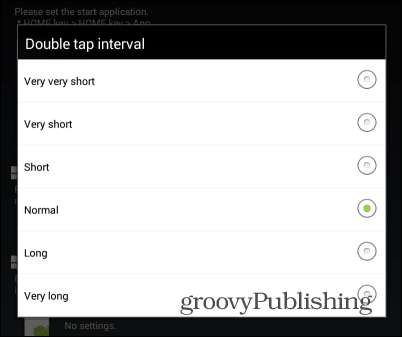 Next, you will want to set the double-tap interval. I’ve used normal and it worked fine for me, but you can play around with it until you’re happy. 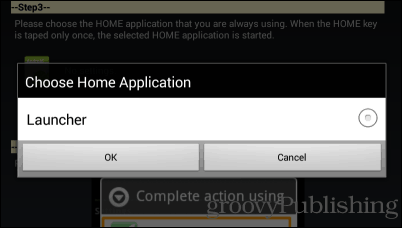 Before hitting Close, choose the default home app, too. 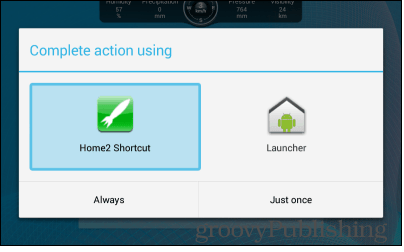 If you’re not using a custom launcher, it should be Android’s default Launcher. After that, just hit Close. 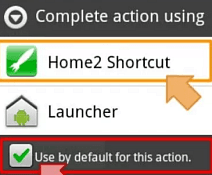 You will also be asked about the app used to perform the action the first time you double-tap, but that won’t happen again if you set it to to Always use Home2 Shortcut. 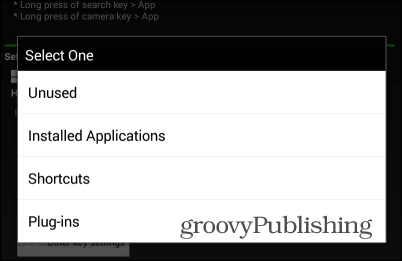 Once that’s done, a double-tap of the home button will bring up your favorite app. However, that’s not everything this nifty little app can be used to change. Believe it or not, the Other key settings button hides some other interesting features. Namely, the menu that hides under it can be used to assign shortcuts to a bunch of key combinations, as you can see below. 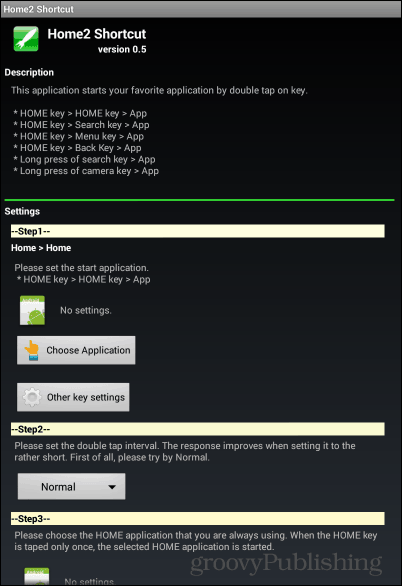 You can add shortcuts to Home + camera key, or Home + back, for example. Have you used this app to customize your home button? If so, leave us a comment and let us know about your experience.